I also agree that there is no special need for a new dwemer set, for the few ruins we will eventually make we could use some of the available dwemer resources if we need it...instead we could probably think about some reachmen burial grounds, maybe similar to the ancestral tombs, just a bit more mystic. What kind of burial are they using? I believe I read somewhere that the bjoulsae tribes would burn their corpses. The Reachmen are somewhat related or neighbours of them at least. I wouldn't necessarily make a new tomb set, but we could extend our range or reachmen objects to contain objects to be found around reachmen burial places. The latter could be within caves. Re: Density of tombs, ruins, etc. Worsas wrote: I believe I read somewhere that the bjoulsae tribes would burn their corpses. The Reachmen are somewhat related or neighbours of them at least. It sounds reasonable to burn the corpses. Maybe something like an ancient holy ground were ancient reachmen burned their honorable warriors and wizards. A few additional burial items would be enough I guess. Also using some caves for Reachmen burial grounds is a nice idea, since there aren't using a lot of stone architecture anyway and it would be very close to their basic lifestyle. New thread for seperate, rather detailed discussion. Muspila wrote: I'm in favour of using this as a sanctuary devoted to Kyne (who is symbolized by a Hawk btw.) possibly used for open air burial. In the latter case we could have the Nords burn their dead up here and keep the fire, we'd only have to add some ritualistic structures, like altars and sacred menhirs around the place. The burial maintainer who lives up there could tell of stories in old days when the corpses were not burnt but left as carcasses to the birds of Sky, which would explain why this mountain is still known as the Snowhawk Peak. roerich wrote: I (obviously) like the Kyne sky burial thing, but I had been thinking of reserving it for some more remote locations (and higher mountains, although I don't know just how high this peak is). Some special Dahkma structure in the Sky_Ex_Barrow style would be really cool too. Worsas wrote: We should add ash urns to the tombs in this area then to refer to this local burial practice. roerich wrote: I think before we actually start implementing these funeral pyre practices, we should establish the lore behind it: It's a Kyne thing because of wind and such. But what about all the Nord barrows? Is the cremation only for some individuals? Is the ash collected, or is it taken by Kyne's winds? Is it to get easier to Sovngarde? Perhaps Nord cremation only burns away the flesh, leaving the bones behind to be placed in the barrows. Or perhaps only rich/prestigious Nords are buried in barrows, while common-folk are cremated. 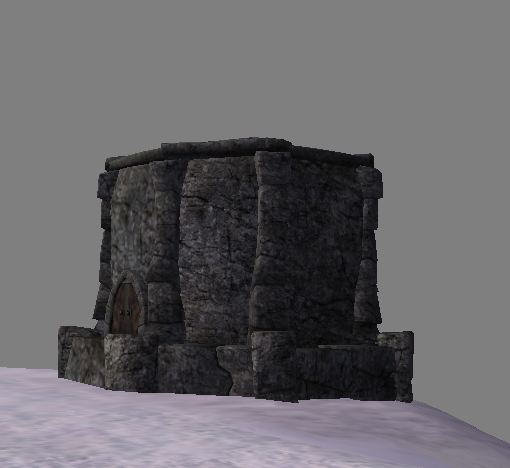 With northern High Rock AND Morrowind being near exclusively cremators and that both of these used to be part of the First Empire, it could be that cremation was learned from the nords (though they wouldn't want to admit this). There's also tons of urns in TES V barrows (but they don't all have bone meal in them). Those are great, I love the diversity! I have some additional notes and ideas for sky burial, which I'll post later. As an aside, I did some research into sky burials. Apparently they were common in Tibet for a variety of reasons: hard ground from the cold weather, lack of trees in the tundra, etc. Yes that makes sense. There is a very good (and macabre) photoshoot from one burial. I was thinking how instead of 1. Feeding your corpse to birds of prey or 2. Cremation and spreading the ash with the wind, Kyne-worshippers would choose death by hypothermia. When they approach their last days (or choose that now is the time), they would journey with a group of guides to a holy tower on some mountain, clad in enough furs to keep them alive during the journey. When they get to the tower, they would be approached and taken by the Fryse Hags, and go through some rites and kiss the earth for one last time, before they walk to the top of the structure, lay down as the Fryse Hags removes the furs and clothing. Here, Kyne will breathe life out of them with her icy winds, just as she was the one to breathe life in them. What would happen then with the corpses, I don't know. Maybe they will be returned to a barrow (thus the dakhma/whatever is just a practical thing, and not a final resting place), or they could be interred in the dakhma, or they could just keep lying on the roof, where there'd be a lot of bones and freshly frozen corpses. Give me some input please. I like this idea, personally I think the corpses should be buried in tombs some time after the ritual. Perhaps there could be a rumor amog non-nords, that spirits of the dead are becoming Ice Wraiths that haunts around these places. That is rather a neat idea Berandas. Such weird things as the ice wraiths would surely have some cool rumours about them like that. Omnia In Nihil wrote: The colouring of rugs is always a complicated issue, as you have to find a balance between individual creativity and lore-friendliness. "...He grew older than the Greybeards, and died. The flames of his pyre were said to have reached the hearth of Kyne itself." Great find, Luxray. I think it's good we have some diversity as well, with both barrows and funeral pyres. 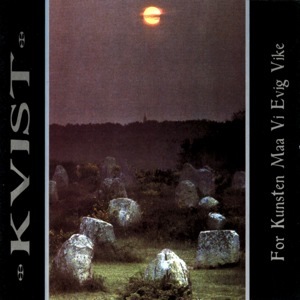 Sky_bk_V_SongAskeldeMen is another cool story about a group of Nordic warriors burning their fallen companions. That Wulfharth again I guess being blasted to ash gets you a place at these sorts of ceremonies. A Sky Execution is a form of capital punishment in Skyrim in which the criminal is stripped naked, tied to a pillar, and left to die of to exposure from the elements. This practice is typically conducted on a mountaintop where the winds are powerful, the snow is biting, and the sun is unbearable. Those who oversee the execution are priests of Kyne and magistrates of the Suleyksejunthur, or Jarl of the hold.